Click the domain name you would like to view the nameservers for. Click Nameservers on the left side. Here, you can view the nameservers you use. 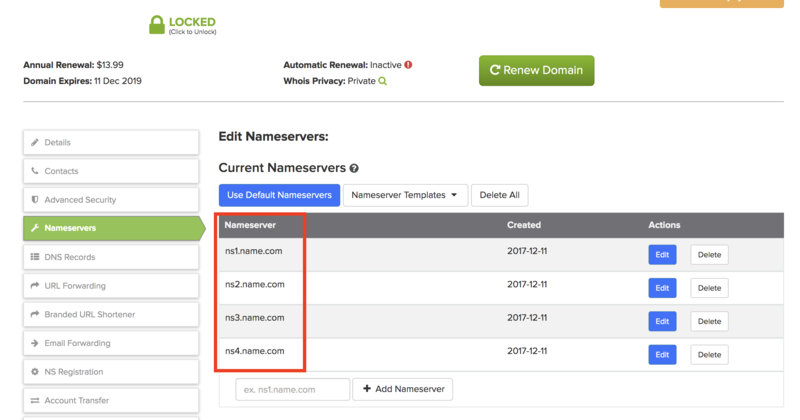 If the above nameservers are not listed, then you are not managing your DNS records through Name.com. You will need to contact your hosting provider to manage your DNS records.